Dr. Baserdem is an internal medicine physician. He completed his Internal Medicine Residency at Northwell Health's Lenox Hill Hospital. He graduated medical school from Marmara University School of Medicine and received his MPA from NYU-Wagner Graduate School of Public Services. Dr Baserdem sees adult patients of all ages. His focus involves general internal medicine and men's health. He is a practicing HIV specialist and holds licensure by American Academy of HIV Medicine. "Dr. B is the best"
"Dr. Baserdem did a great job and I would highly recommend him to anyone." "Amazing doctor. Already referred few of my friends." "Dr. Baserdem is a really great doctor and I'm glad I found him. He's very friendly, helpful and understanding on my needs." "Dr. Baserdem is extremely professional, very good bedside manner. He explained things very clearly, is very detailed. Just an amazing PCP." "Have already recommended him multiple times!" "Dr Baserduam is the best general practice physician I have ever had." "I've recommended this doctor to a handful of friends and they all like him too. " "Dr. Baserdem is an excellent primary care doctor. I have multitude of medical issues and he is not afraid to treat and very knowledgeable. Also, her refer specialist when needed. He is terrific!" "Dr. Baserdem is an excellent internist and diagnostician." "Dr. Baserdem is one of the most pleasant, thorough and competent physicians I've ever encountered." "I have recommended doctor Baserdem in the past and will again"
"Dr. Batu. i could not have ask for a more caring, concerning, sincere, professional dr"
"Dr Baserdem involved me in my health decision"
"he was very attentive and provided you with information about various options of care and treatment." "Dr Baserdem was very good, I have a potentially serious condition and he took the time to explain things and was very thorough and straight and gave a referral to a surgeon who is very good also"
"This was the best doctor I've ever seen. He really cares and he took the time to understand my concerns. He even pointed out a few risks I didn't ask about." "Dr. Baserdem took very good care of me and have highly recommended him to others." "Dr. Baserdam is a great doctor. He spends time with you and thoroughly discusses all aspects of your health. Everybody should be so lucky to have such a great PCP." "I like Dr. Baserdem and would recommend him to others." "Dr. Baserdem calmed my fears and answered my questions. He understands and embraces LGBT patients and diverse healthcare communities. I will recommend his primary care services to all my friends and loved ones." "Dr. B is terrific. I am not an easy patient, as I come from a family of physicians, 3 of whom are siblings, who remind me that I'm a high-maitanence patient. Dr. B is caring, empathic, professional, honest, and really puts me at ease. I've finally for a GP whom I can trust." "very informative I really feel comfortable with his knowledge and advise GREAT DOCTOR"
"excellent experience with the physician. spent a lot of time with me and explained everything I need in detail. Definitely a top physician and will recommend for other"
"the doctor was professional and caring to the needs of my concerns." "I have recommended Dr. Baserdem to all my friends." "Dr. Baserdem is superb in every way. He explains everything and answers all of my questions. With him, I feel I am getting excellent care. I trust him a lot." "Dr. Baserdem has a great amount of empathy and seems to genuinely care about his patients." "I have already recommended Dr. Baserdem to others." "He was very thorough & personable." "Dr. Baserdem is the best. So glad I found a smart, caring dr. like him." "Dr. Baserdem is amazing. He understands my specific needs and concerns, speaking/providing relevant advice. I trust him implicitly." "Dr. Baserdem is one of the best physician I've ever experienced in terms of _____ concern and care." "Dr. Baserdem was extraordinarily kind & attentive in a very emergency medical situation." "Dr. Baserdem was incredibly informative and caring about my well being. I have never had a doctor so concerned for me. He took his time with me like no other doctor in my past." "Dr. Baserdem was such a pleasure, & super helpful." "As a transgender person, I appreciated his approach and willingness to learn. I didn't feel tokenized or awkward with him, I felt like he saw me as an actual person rather than a foreign term/concept." 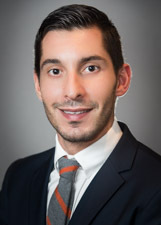 "Dr. Baserdem is professional, thorough & allows the patient to feel comfortable. Having a patient feel "listened to" is so positive for the healing process." "Very thorough and knowledgeable - diagnosed me when other doctors couldn't." "Love Dr. B. smart, kind helpful." "I responded to Dr . Baserdem via email about how pleased I was with the service!" "Dr. Baserdem exceeded my expectations and greatly appreciate him!" "Dr. Baserdem is AMAZING THANK YOU!" "He is a great listener and down-to-earth person who related to me. " "I live between NY & Miami and saw this provider since I couldn't be in Miami. Only see him now and my partner fly to NY to see this provider! Truly amazing doctor!!!" "I felt Dr. Baserdem showed concern for my health. It was overall a pleasant experience. 7. Good manner. 8. Enough to cover all." "I'm super happy I found Dr. Baserdem." "He is an excellent care provider"
"Dr. Baserdem is a kind, compassionate, young and humble physician. Although he was late to my most recent appointment. I look forward to working with him."